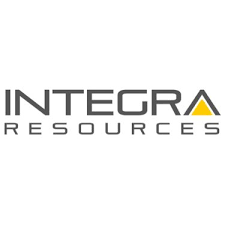 Integra Resources Corp. (TSX-V:ITR) (OTCQX:IRRZF) is pleased to announce the remaining drill results from Integra’s 100% owned Florida Mountain Gold-Silver Deposit, located 5 kilometers east of Integra’s DeLamar Deposit in southwestern Idaho. A total of 2,920 meters (“m”) was completed in 9 drill holes at Florida Mountain during the 2018 drill campaign, designed to test both the low-grade disseminated mineralization and select high-grade veins on the Deposit. While these results signify the end of the 2018 Florida Mountain drill campaign, one exploration drill remains active on Integra’s neighbouring DeLamar Deposit and will remain active throughout the winter. Drilling is scheduled to continue in H1 2019 at Florida Mountain. The following table highlights selected intercepts from this set of Florida Mountain drill results. The first two reported intercepts were first disclosed in the news release titled “Integra Announces Initial Drill Results From the Florida Mountain Deposit” dated September 24, 2018. The assays from today’s release were sent to the laboratory in a subsequent shipment, hence why they were not disclosed in the previous Florida Mountain news release. As a well-known low-sulphidation gold-silver epithermal system, the geology of the Florida Mountain Deposit is generally similar to that of the DeLamar Deposit with the important exception that the Late Cretaceous Idaho granodiorite crops out on the flanks of Florida Mountain, and was extensively entered by workings of the historic underground mines. Discrete low-sulphidation epithermal related fissure veins and more widely disseminated mineralized zones are both present at Florida Mountain, and have contributed to past gold and silver production. Florida Mountain exhibits significant exploration upside, remaining open at depth and on strike. In more recent history, the gold and silver mineralized material from Florida Mountain was processed during the 1990’s at the neighboring DeLamar Mill, with material being transported by truck along a haulage road that Integra currently uses to access the project. Historical mill records show mill recoveries of 95% gold and 75% or better silver, in addition to column leach test studies demonstrating gold recoveries as high as 85% and silver as high as 54%, are indicative of the excellent metallurgical nature of the deposit The existing Florida Mountain metallurgical data demonstrates the potential of both conventional milling and heap leach options for any future development, subject to further studies and assessment that are currently underway. In February 2018, the Company reported a maiden Florida Mountain Deposit inferred mineral resource employing a 0.3 g/t AuEq cut-off, outlining 36,605,000 tonnes grading 0.57 g/t Au and 14.12 g/t Ag, for a total of 675,000 ozs of Au and 16.6 M ozs Ag, or 871,000 oz AuEq at a grade of 0.74 g/t AuEq. Though the company has completed its budgeted drilling for the year at Florida Mountain, further exploration work is ongoing at Integra’s DeLamar Deposit, situated 5 km to the west of Florida Mountain. One drill rig remains active, testing a number of targets including Sullivan Gulch and Sullivan Knob, the later representing the highest geophysical induced polarization (“IP”) signature on the property. The exploration program for H1 2019 is now fully funded, following the recently completed financing. Further guidance regarding the 2019 planned exploration program will be released in the coming months. The scientific and technical information contained in this news release has been reviewed and approved by E. Max Baker PhD. (FAusIMM), Integra’s Vice President Exploration, of Reno, Nevada, and is a “Qualified Person” as defined in National Instrument 43- 101 – Standards of Disclosure for Mineral Projects.